Religious freedom is so often presented as a timeless American ideal and an inalienable right, appearing fully formed at the founding of the United States. That is simply not so, Tisa Wenger contends in this sweeping and brilliantly argued book. 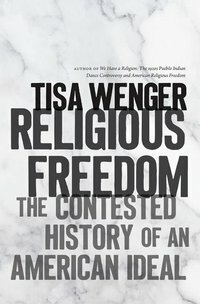 Instead, American ideas about religious freedom were continually reinvented through a vibrant national discourse--Wenger calls it "religious freedom talk--that cannot possibly be separated from the evolving politics of race and empire.